A retaining wall is a stabilizing structure that holds sloping ground in place in order to prevent the erosion and the soil movement. A retaining wall must be substantial and sturdy in the structure in order to accommodate and redistribute lateral pressure caused by sloping. 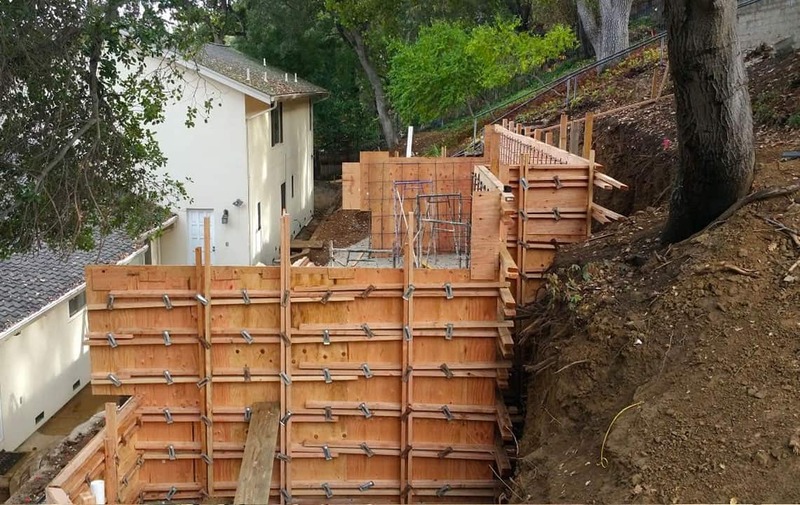 Retaining walls construction normally designed with seepage holes, which allow collected groundwater to escape. This releases additional pressure created by accumulated water and helps keep maintain stability in the retaining wall. There are several different materials and methods used in retaining walls construction order to repair a buckling retaining wall. These include concrete retaining wall, timber retaining wall, interlocking blocks retaining wall, stacked stone retaining wall and a brick or block retaining wall. Which Retaining Wall You Need? Each type of retaining wall is designed to hold back soil and to prevent down-slope movement or erosion. Choosing the type that is right for your property depends on the amount of soil that needs to be retained. Stone and concrete are the most common materials, and there are special retaining wall blocks crafted from aggregate materials and light concrete which are designed for this purpose. Some styles interlock, making assembly simpler, less costly and less time consuming because each block fits securely with the next. These blocks are designed to fit securely, and they do not require the addition of mortar. A retaining wall can also be a series of “steps” or tiers, which makes for a more attractive design and allows for more efficient erosion control. The design can include different types of plantings, flowers or materials in each tier to bring more texture, color, and interest to the area. Aside from the aesthetic value, a tiered design provides better erosion control by breaking down the amount of soil, and therefore the pressure borne by each division of the retaining wall. 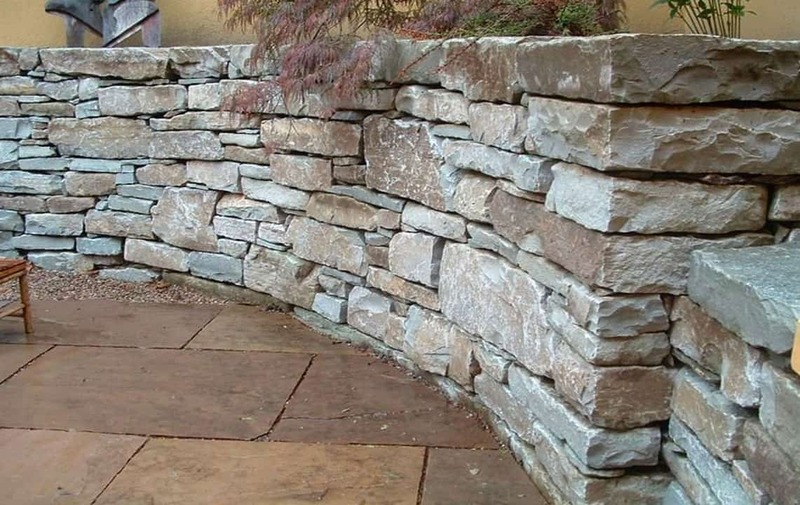 Large stones and railroad ties were often used to build a tiered retaining wall in the past. 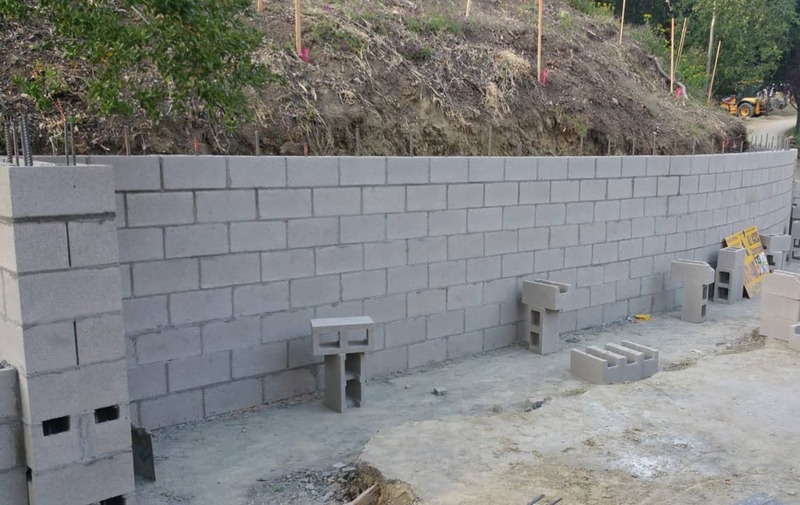 Today, there are many styles and types of retaining wall blocks, and most people choose preformed blocks. These blocks are affordable and easy to use, thus making other methods somewhat obsolete, unless the look of rough stone or wood is preferred for aesthetic reasons. 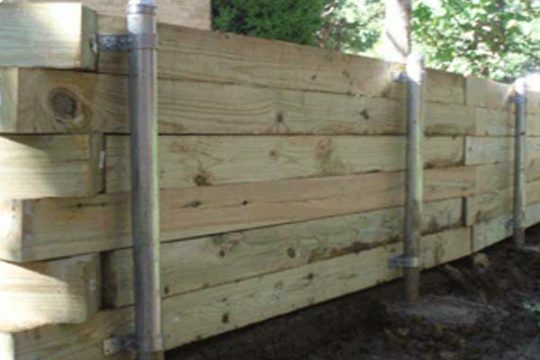 The key to constructing a stable retaining wall is ensuring that it is completely level. Each layer must be backfilled to give the retaining wall substance and to provide ample drainage. Generally, sand, stone, pea gravel or leftover soil is used as backfill. 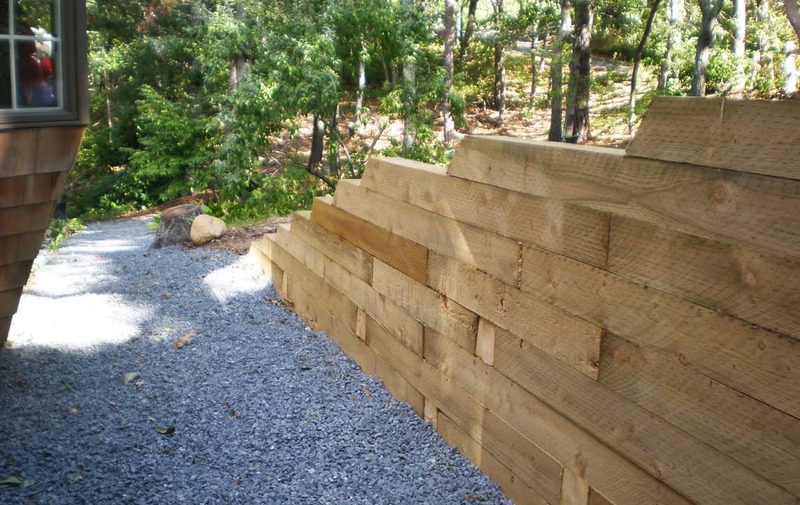 Retaining walls are carefully engineered systems that wage an ongoing battle with gravity. They restrain tons of saturated soil which would otherwise slump and slide away from a foundation or damage the surrounding landscape. 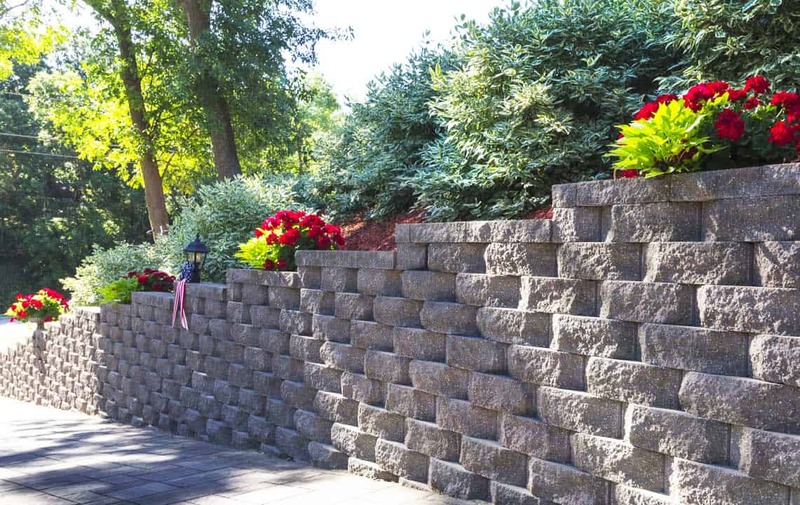 Retaining walls exceeding 3 feet in height require an engineered plan, retaining wall permits and varying grading requirements such as a Geologic and Soils Report. Each retaining wall construction is a unique structure and is designed by a professional soil or structural engineer. We offer a Free* inspection and estimate with no obligation to you. Our job is helping homeowners ensure their property is safe and there are no hidden dangers from down-slope movement or erosion that might jeopardize their loved ones. 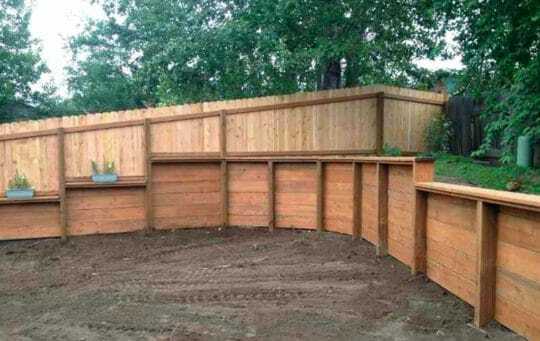 Believe You Need A Retaining Wall? Call Us Today For a FREE Estimate For Retaining Wall.